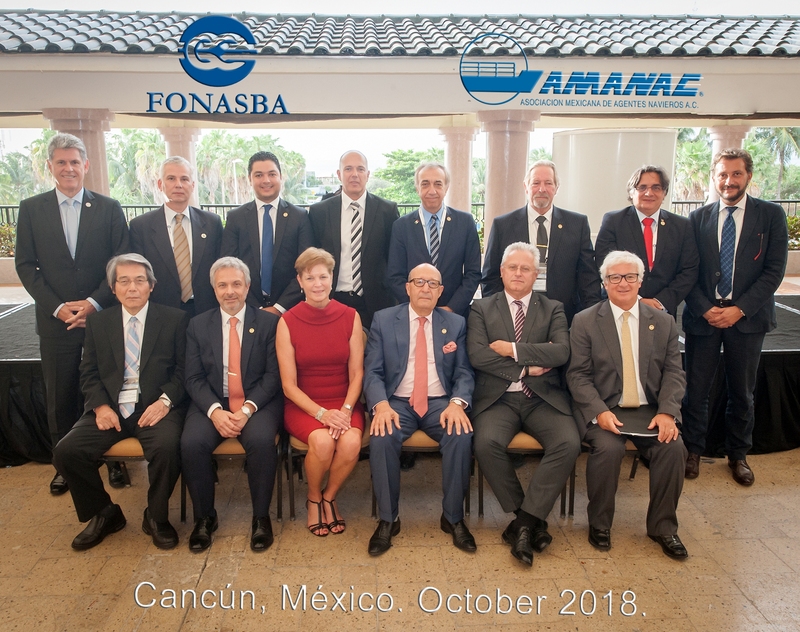 Annual Meeting Miami 2019 – a presentation by Jeanne Cardona of ASBA (USA) Inc. on the location and programme for the 2019 Annual Meeting. As Executive Director of the Portuguese ship agents’ association AGEPOR, our colleague Antonio Belmar da Costa, (who is also FONASBA’s Regional Vice President for Europe and Chairman of ECASBA), was recently invited to appear in a short video message supporting the first Portugal Shipping Week which will take place in September 2018. (https://portugalshippingweek.com). Antonio’s video can be viewed below. FONASBA and ECASBA are supporting organisations for Portugal Shipping Week 2018. FONASBA is honoured to have been recognised as the “Best Maritime Organisation” at the 2018 SHIPTEK International Maritime Awards event held in Dubai on 1st May 2018. FONASBA was represented at the awards ceremony by Nayana Nandkumar, our Deputy Regional Vice President for Africa and the Middle East and Manager of the Dubai Shipping Agents Association. Thanking SHIPTEK for the Award, FONASBA President John A. Foord FICS said that it was very welcome, and much appreciated, acknowledgement of FONASBA’s standing as a high-profile and effective international maritime organisation. Please find below photographs of Nayana receiving the award from Dr. Rashid Alleem, Chairman of the Sharjah Electricity and Water Authority (SEWA) and joining with the other prize-winners on the night. FONASBA and BIMCO are once again joining forces the present a webinar on the new General Agency Agreement form launched earlier this year. It will take place at 10.00 a.m. Central European Summer Time (08.00 GMT) on Thursday 5th April. As with the joint webinar on the Agency Appointment Agreement last year, FONASBA President John A. Foord FICS and BIMCO Documentary Committee Member Han van Blanken will discuss the details of the new document and then answer questions from Luis Bernat FICS of the Danish Shipbrokers’ Association. Further information on the webinar can be found on the flyer here. For those unable to view the webinar live, a recording of it will be available via this website shortly after the transmission. Further information will follow. It has come to our attention that some “@fonasba.com” email addresses, which are only issued to serving members of the Executive Committee and the Secretariat, have been hijacked for “phishing” purposes. We have managed to avoid this for many years but it was inevitable that our domain would be targeted at some time. As a result, any email that appears to come from such an address that does not look or read right should be carefully checked (a useful series of tests is listed in this guidance note) before clicking on any of the embedded links or opening any attachments. Unfortunately it is not possible to automatically block or restrict these emails. We apologise for any inconvenience or concern this may cause and thank you for your vigilance in checking any suspect emails. FONASBA and BIMCO have today (Tuesday 5th December) launched the latest in its suite of agency documents, the General Agency Agreement (GAA). Complimenting the Agency Appointment Agreement (AAA) launched earlier this year, the GAA is designed to cover the appointment of an agent for a longer period, or over a wider range of ports, than the AAA. The GAA is in the same box-format as the AAA and shares common terms, layout and other features designed to ensure the two documents are consistent and interchangeable. Further information on the new form, including sample copies and a set of explanatory notes, can be found here. An initial proposal by ECASBA Chairman Antonio Belmar da Costa for the appointment of a Brussels representative for ECASBA. An update from Andrew Jamieson, Claims Director of ITIC, on the issues giving rise to claims by ship brokers and ship agents in the last year. A presentation by Francis Sarre, Chairman of BIMCO’s Documentary Committee, on the documents under discussion by the Committee over the past year. Michele White, Legal Counsel to INTERTANKO, summarises the recent work of the INTERTANKO Documentary Committee . An introduction by Mohamed El Mezouar, Vice Chairman of the Chartering & Documentary Committee, to the new Facebook page dedicated to shipbrokers and shipbroking issues. A report on recent activity in CIANAM, the regional ship agents’ association for the Americas. A presentation by Jonathan Williams on the current status of the e-Maritime programmes by IMO and the European Commission. A summary of the present state of container weighing one year on from the implementation of the SOLAS VI.2 Regulation amendments. Details of two new developments to enhance the value of the FONASBA website, presented by Jonathan Williams. A presentation by AFCS Chairman Admiral M. Hatim El Kady on the recent work of the Federation. 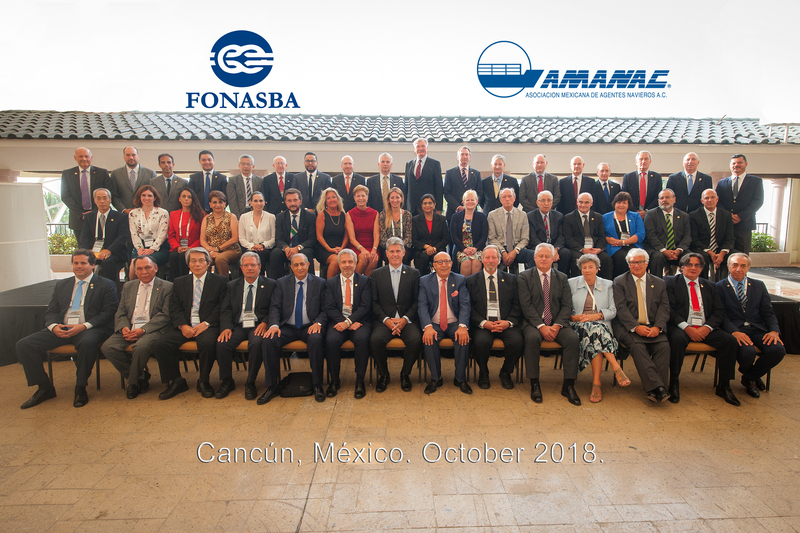 An update by Felipe Bracamontes Venegas, President of AMANAC on the programme for the 2018 Annual Meeting in Cancun. Other presentations and papers will follow in due course. In October 2017, ECASBA was invited to counter-sign a transport industry statement calling on the UK Government and the European Commission to prioritise efforts to implement a seamless and effective transitional trade regime between the United Kingdom and the European Union in order to mitigate the effects of Brexit. A copy of the statement can be found here.